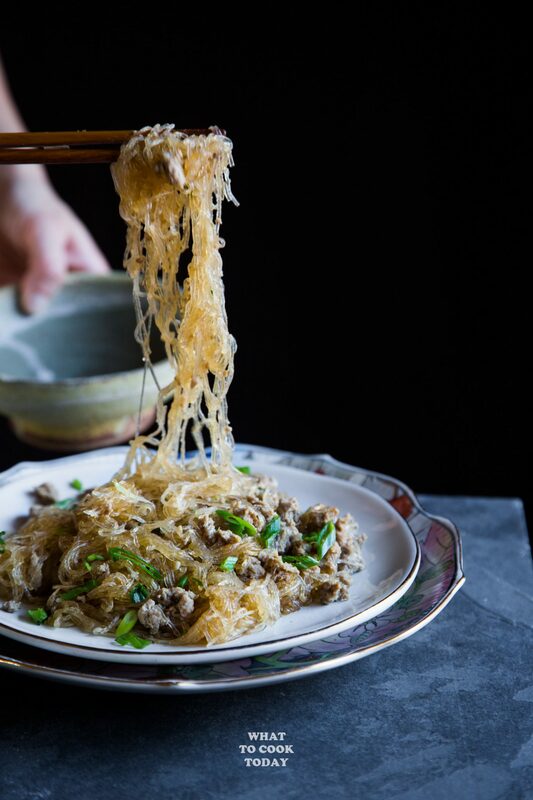 Chinese sure does like to name their dishes in a very unique way. Most of the time it’s a “literal” translation of what it visually looks like. This ants climbing a tree dish is one of the example. Fret not, there is no ants involved. 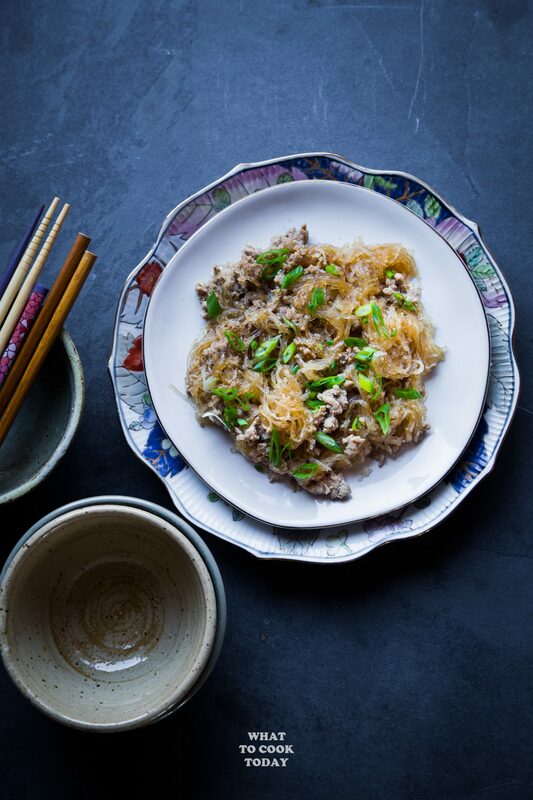 This classic Szechuan dish is named as such because of how the little pieces of ground meat clings to the noodles. It resembles ants climbing a tree. Why not other bugs you would ask, why ants? well, I honestly not sure about that part. 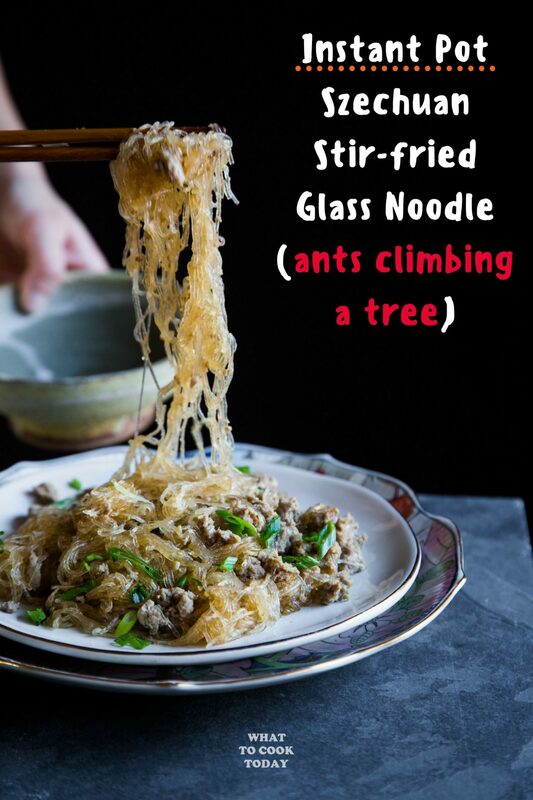 This ants climbing a tree is a noodle dish prepared with ground meat (usually pork, but feel free to use ground beef or even ground turkey) stir-fried in spicy chili bean paste. Super easy to prepare but really delicious. 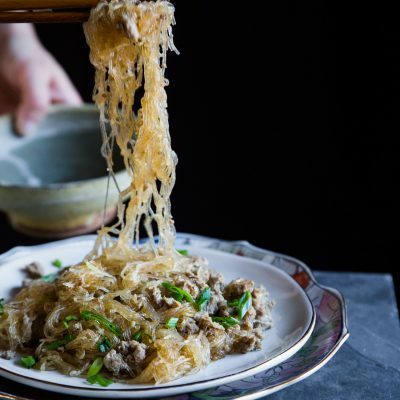 As one of the characteristics of Szechuan dish, this noodle dish is spicy, but you can tone it down if you need to. I actually only put a tiny bit of spicy chili bean paste in there or one of my kids will refuse to eat it if it’s too spicy. Next time if someone ask you “what are you cooking today?” You can tell them “ants climbing a tree” and let him/her think a little bit! Ha! What kind of chili bean paste? 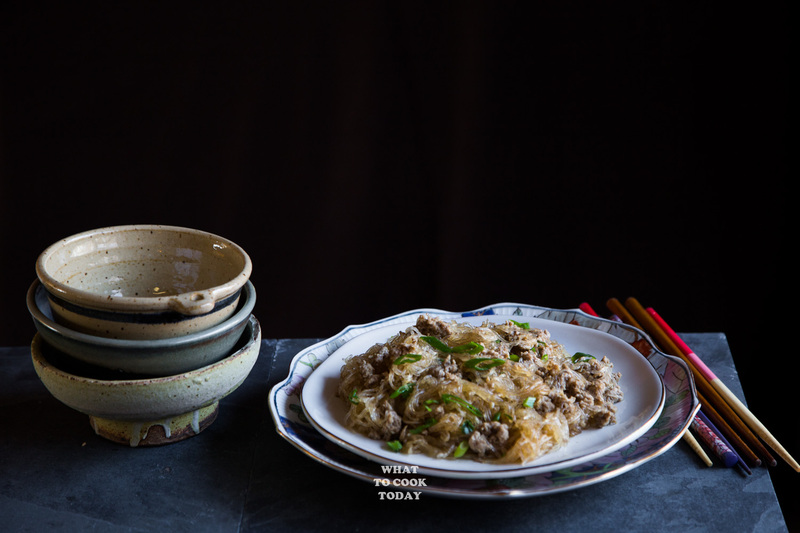 You can use either this one (affiliate links) : http://amzn.to/2D1MhUM (hard to find at Asian store where I’m at, but you can try, but available on Amazon) or this from Lee Kum Kee http://amzn.to/2D0k8xv (can be easily found in most Asian stores). There are many other brands too, but as long as they are labeled as Chili Bean Paste or Broad Bean Paste, you can use them. Hope that helps! Thank you Chyna Girl. I hope you like this! 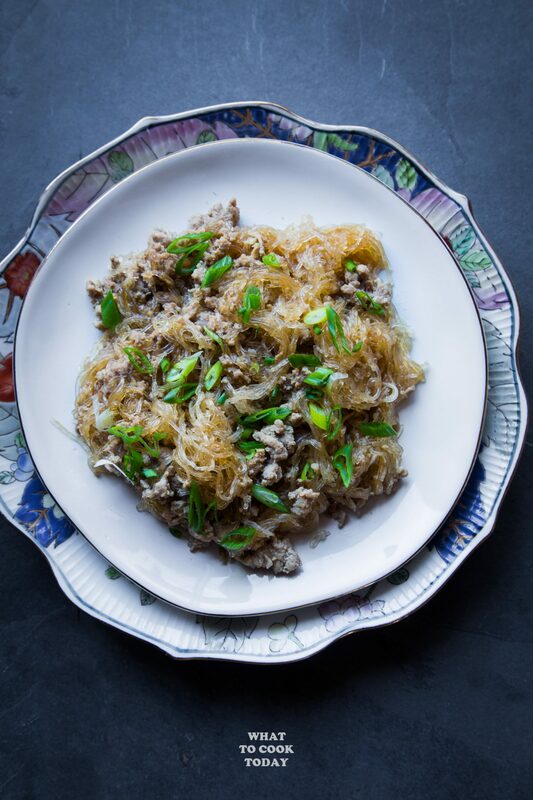 Could you use the sweet potato noodles in this dish? Hi Sherryn, Yes you certainly can! In fact, it’s a wonderful substitution. 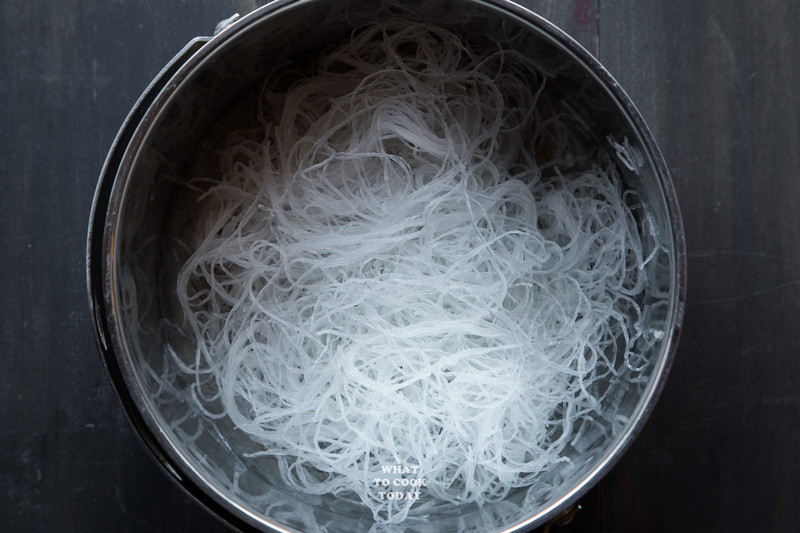 The sweet potato noodles and glass noodle has that very similar texture. 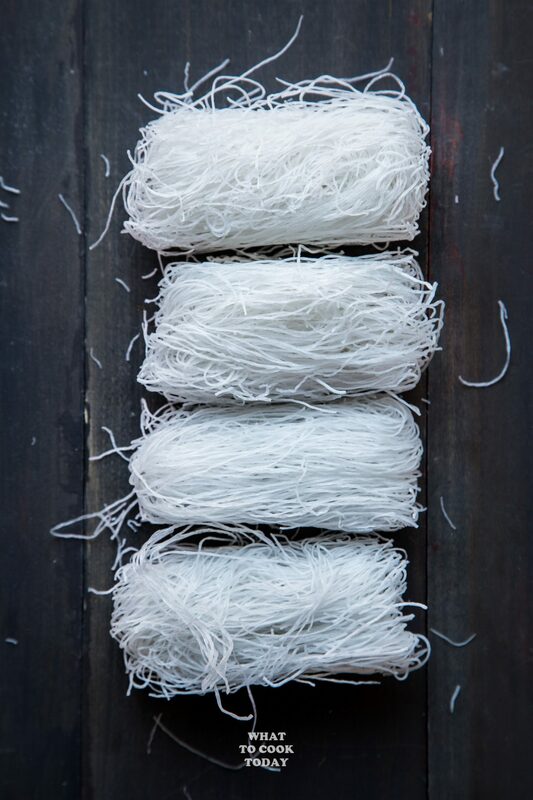 The glass noodle is not as “thick” compare to the sweet potato noodles. You will need to boil the sweet potato noodles first though and then stir-fry it. In the recipe it says chicken stock, but in the directions it says to add water. I assume the water is the chicken stock? So I pour two cups in along with soy sauce and sugar after stir frying?